No matter how the season ends for the Mean Green football team, it will be considered disappointing — but that does not mean the season is not a success. North Texas is on pace to win more than 10 games for the first time since 1977. The next three teams they play have a combined record of 8-17. A team on pace for its best record in 40 years should by no means be considered a failure. While the Mean Green had a golden opportunity to go undefeated in the regular season, both of their losses ultimately came down to turnovers. There’s clearly an argument to be made that this team is exceeding the standard that was set when head coach Seth Littrell took over. The Mean Green were in college football “purgatory:” They won 34 football games in the 10 seasons before Littrell took over and had a winning percentage of .281. Teams that are bad for such a lengthy period of time usually can’t escape that hole. Just ask fans of the Rice Owls, Texas-El Paso Miners and New Mexico State Aggies — it is nearly impossible to escape from purgatory. In the last three seasons, Littrell and the Mean Green have escaped from this dark place in college football — winning 21 games with a winning percentage of 0.583 and expecting both of those numbers to rise as North Texas finishes out their season. The turnaround for the team is nothing short of remarkable. The fact it will be considered disappointing that the Mean Green will not go undefeated just goes to show how successful this team is. Sure, North Texas lost two close contests to LA Tech and Alabama-Birmingham to knock them out of Conference USA title contention, but that should not take away from the win against rival Southern Methodist and the program-changing victory over the Arkansas Razorbacks. Before this season, the rivalry between the Mustangs and Mean Green was dominated by Southern Methodist with the Mustangs winning 31 games to the Mean Green’s five. This season Littrell ultimately changed what people think of the Mean Green – this team can play quality football. The true test came against the Razorbacks. Not only did North Texas pass the test, but they crushed it, dominating the Razorbacks and showing just how much progress this team has made in the last three seasons. 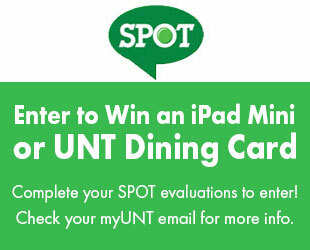 It is not conceivable for the Mean Green to be where they are right now. College football teams with a long history of losing do not suddenly become winners, and they definitely do not sustain winning like North Texas has done the last two seasons. The Mean Green are not just ahead of where they want to be — they’re not even supposed to be as competitive as they are. 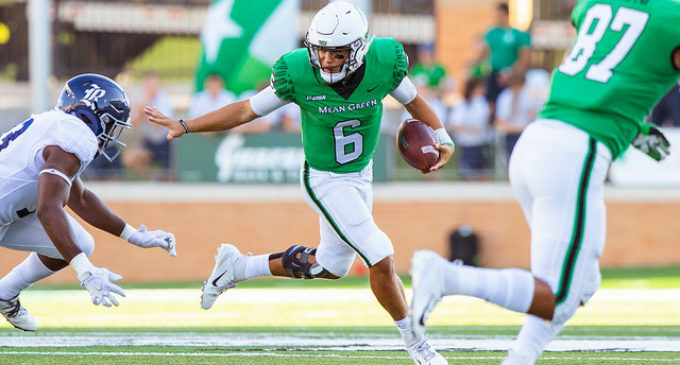 This season totally contradicts everything about the North Texas football team of this decade, and the ceiling for this team looks to even be higher after this season with junior quarterback Mason Fine slated to return next year. While it is disappointing that the Mean Green will not go undefeated — or even compete for their conference title — it would be a total overreaction to say this season is not a success. Business student at the University of North Texas and sports writer at the North Texas Daily.